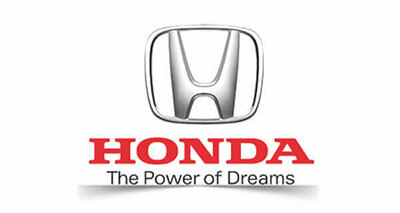 Honda believes in providing joys to the world through new challenges and realization of dreams. Honda associates have been demonstrating a challenging spirit, wanting to bring joy to people, contribute to society with technologies and create new products that people have never seen anywhere in the world. It products include motorcycles, automobiles and power products. Honda realizes the joy and freedom of mobility and a sustainable society where people can enjoy life. About the contest:An Instagram contest was conducted by Honda (Oman), on the occasion of 44th National Day celebration in Oman. The soul of the contest was to present a tribute to the nation (Oman) and His Majesty. Honda owners were asked to decorate their cars in National Day theme/graphics and share their decorated car's pictures (via Instagram or WhatsApp). The entries were showcased on Instagram (Honda Oman's official page) and the best entries (with maximum likes) won Swiss watches & gift vouchers worth 44 OMR. Honda owners in Oman's urban & sub-urban spreads. Encouraging the crowd to get their Honda cars decorated and participate in the contest. Maintaining the rigorous engagement and inputs via creative posts. Introduction of Instagram as a new social media marketing platform for Honda Oman. An overwhelming response from Honda owners. 20X growth in response rate in first 3 days. 10% increase in Facebook page likes. 166 new following on Instagram account.